Detail : Paul's ninth solo single. With saxophone played by Howie Casey. as it raised awareness in the L.P. and pushed it back up the chart. but in this example it is difficult to say what the song is actually about. 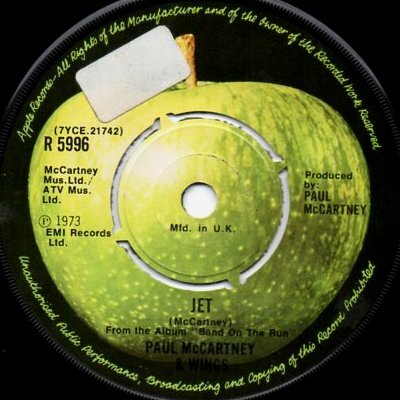 The single was not released in a picture sleeve, and the label featured the standard Apple. EMI also contracted some pressings out to Pathe-Marconi in France, these have solid centres and "Made in France"